The Shopper purchases from the Marketplace and can be an individual or a business. There may be different levels of users each with different pricing and the marketplace can be open for some or all types of shoppers or closes requiring login or Single Sign-on (SSO) from a Corporate network. 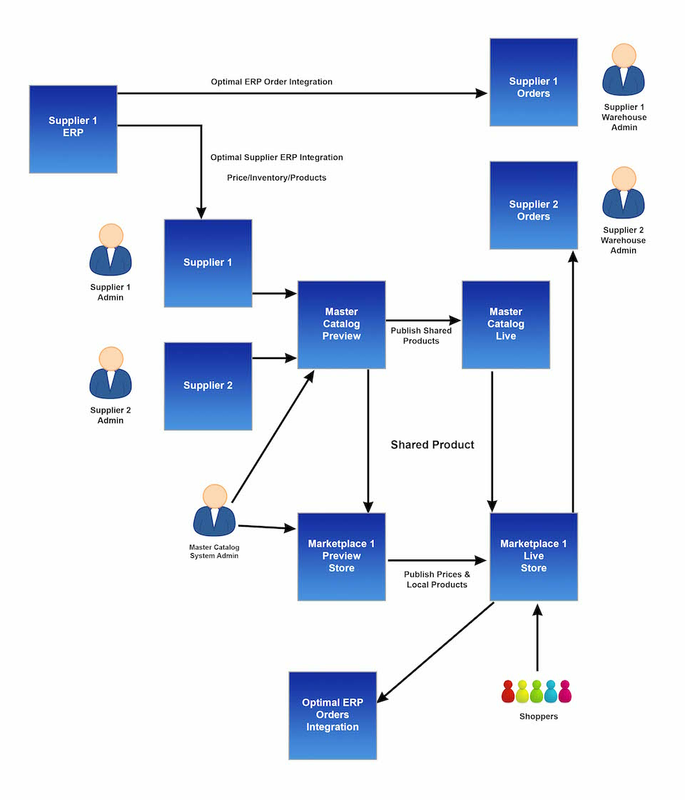 A Supplier can be a retailer, wholesaler or distributor. A Marketplace has products from wholesalers and also from retailers. Each Supplier has additional information about their business. This can be very minimal such as a supplier code name (Amazon, Flipkart, Lineo) , or very complete with phone numbers and full contact information (Alibaba, IndiaMart). Further, some marketplaces also can optionally provide the Supplier with a complete private branded store on a custom domain with only their products. Service Marketplaces hold billboards of information about services supplier companies offer. No transactions occur. Each supplier pays for bill board space and receives Leads or Enquires from the marketplace and depending on their subscription level have more leads provided or more visibility. A vital element of this type of marketplace is to sell ads to each supplier so they can gain more visibility. The marketplace can take the payment which then permits orders from multiple suppliers in 1 order. A simpler model is for each supplier to have their own PayPal or similar payment account and the payment is paid directly to the supplier. This approach is more straightforward but requires separate basket products by the supplier, and the shopper makes an order per supplier. The marketplace can hold inventory and ship to the shopper. Alternatively, the suppliers can ship or can drop ship from the distributors. Inventory is usually synced between the marketplace and the supplier. We provide XLS import, a CSV file transfer approach that can be automated and scales from small to large suppliers and web services approaches. We offer similar solutions to price, order, and order status data exchange. Some marketplaces such as Etsy have the approach where a buyer can also be sellers. 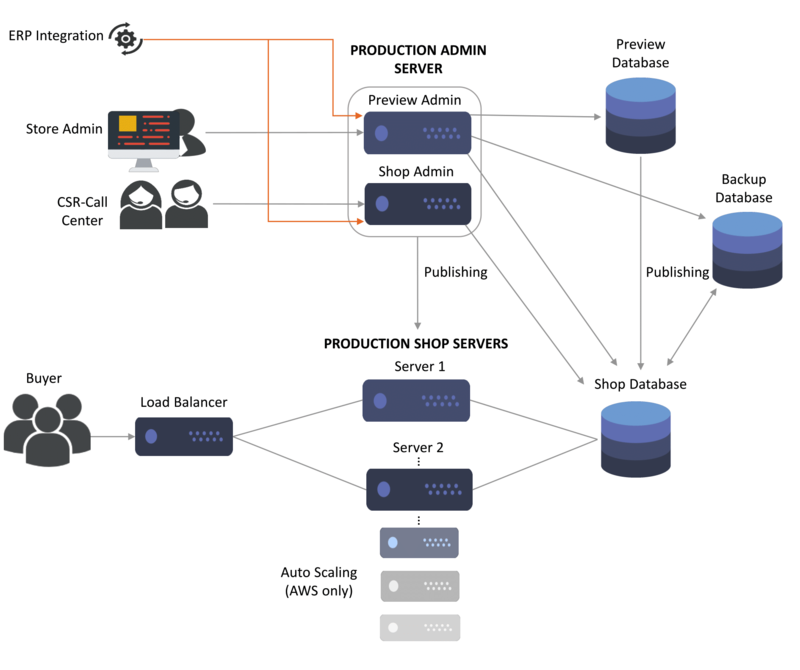 In Avetti commerce we separate the roles, but if you require this model we can customize to support this. 1. If you are a product marketplace and are never fulfilling product you can collect your commission and route payments to the supplier. Stripe or PayPal are good solutions to manage payments but are not available in all countries, and apart from reports, the system does not require an ERP system. 2. 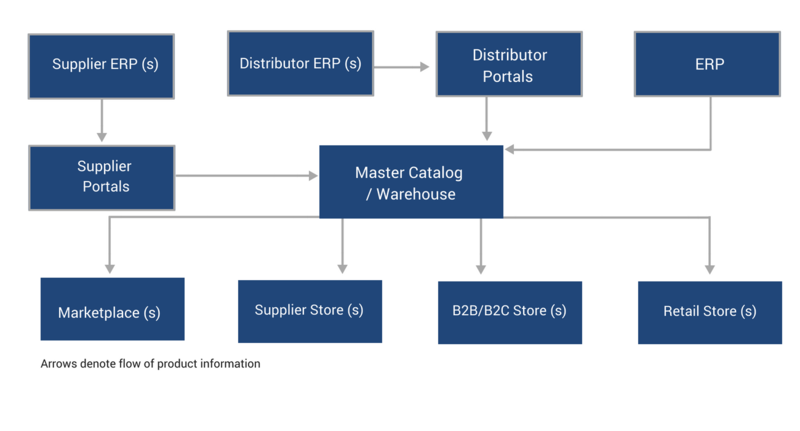 If you own the inventory (holding and shipping) and are purchasing from suppliers, you would need integration with an ERP system or an enhanced Order Management System. We have more complex OMS solutions, and we also have integration approaches that simplify the integration via exchange of simple CSV files with inventory, pricing, orders and order status to you and your suppliers. One of the critical challenges of marketplaces is that the size of the catalog will overgrow. From clients and our experience most simple PHP solutions with marketplace plugins max out at 100,000 products. Avetti Commerce can support 500,000 products on a simple 16gb AWS M4.xlarge and scale to millions as your cloud hosting budget permits. We also uniquely support multiple marketplaces which you can use per country, city, geographic area or type of customer. This is also how we can support supplier (retailer) stores which are just marketplaces with one (1) supplier shared from the same master catalog. You will need to customize the solution as your business grows or you see new opportunities. Our Hybrid SaaS and Licensed approaches are fully customizable. Even with our standard SaaS solution, we can customize payment and logistics integrations.